One of the greatest perks of being active on social media is the opportunity to meet folks I would never (ever) have the chance to meet otherwise. To see a list of people I have interviewed as a result of Twitter, see here. One of the amazing people I connected with a few years back is none other than Jeri Ryan. You might remember her from appearances including Star Trek: Voyager, Body of Proof, and a whole lot more. But that is not what impressed me about Jeri. What amazed me was just how awesome of a person she is, how responsive she is to her fans on the web, and most importantly, how real she is. But why babble on when you can just read Jeri’s awesome answers to my questions below and understand for yourself what kind of person Jeri is. Enjoy! 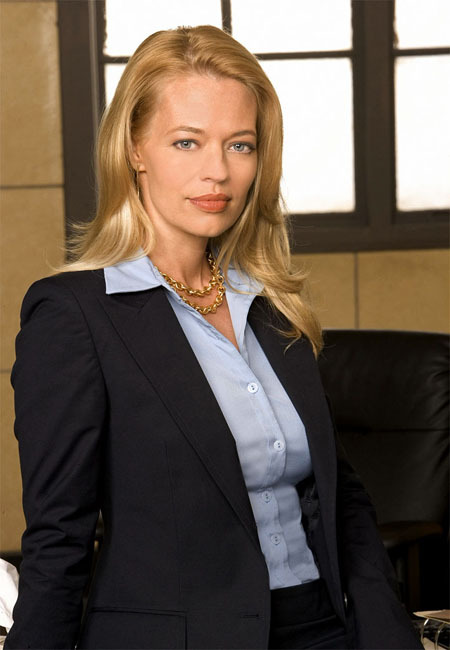 1: Who is Jeri Ryan? Please give me some background both personal and professional. 2: OK, having followed you for a while on Twitter and Google+, I would say you are quite the geek for social media. What is your favorite platform and why? Ha! I TOTALLY am! I love both platforms for different reasons, but Twitter is my social media true love! I actually came to it quite reluctantly and didn’t understand it at all when I first started. But once I started finding interesting and varied people to follow, it really “clicked” for me. It’s such an amazing way to connect with fans in a way that’s personal, but also (speaking as someone with stalker issues) safe. I also love how easy it is to just pop in & out of when I’m on the go. I actually like the 140-character limit; it forces you to be concise. 3: What platform are you most active on? 4: While most people do not yet appreciate Google+ as a real player in the space, you clearly do. What are those people missing that makes it such a great platform for you? I think G+ is great for sharing longer, more in-depth posts. But the real beauty of it is the Hangout. I don’t think people realize what a great tool it is to connect with people around the globe. 5: What is the technology/gadget that has most changed your day to day life in the last few years? 6: What phone do you use and why? I am a devout iPhone user. I love how intuitive it is, even for the non-tech-savvy like me. And, oh lord, don’t even get me started about the apps…! There truly is an app for EVERYTHING. 7: Out of all the celebs on the social web, you are definitely one of the most responsive. Why do you feel it is important to engage with your followers and how do you handle all the noise? Thank you, I really try to be. Honestly, I don’t understand why someone WOULDN’T respond to fans when they can. None of us in the entertainment industry would be where we are if it weren’t for the fans! Can I read & reply to every single comment or tweet? No, of course not. But I read as many as I can and try to respond to them all. Although, admittedly, for someone with OCD…let’s just say I sometimes need an intervention to walk away from it! 8: What Twitter app do you use and have you tried others? I’ve tried a LOT of different apps, but my current favorite — especially on the iPad — is Tweetbot. I also used Osfoora for a long time and really liked it. 9: If you could change one thing about the way people behave on social media, what would it be? Be kind to each other. I think sometimes people forget they’re “talking” to other human beings. 10: If you could meet three people who you know from the online world, who would they be?